The idea of a Knight Rider movie is no longer merely a pipe dream David Hasselhoff slurs in the ear of his old buddy KITT, as the night wears on and his pirate costume sags, and KITT repeats, “Sure, Michael” while his microscanners search the room pleadingly for someone to rescue him. Instead the film version of the ‘80s series, in some form of development since 2002, is once again in the works under The Weinstein Company, which has brought in Brad Copeland to take another run at adapting the story of a guy and his talking car for a new era. Copeland has previous experience exploring the bond between man and machine, as well as with propping up aging properties, through his screenplay for 2007’s John Travolta/Tim Allen comedy Wild Hogs. And the fact that he’s also known for his work on Arrested Development suggests this new Knight Rider might try to somehow mine comedy from a guy fighting crime with the help of a friendly Trans Am. 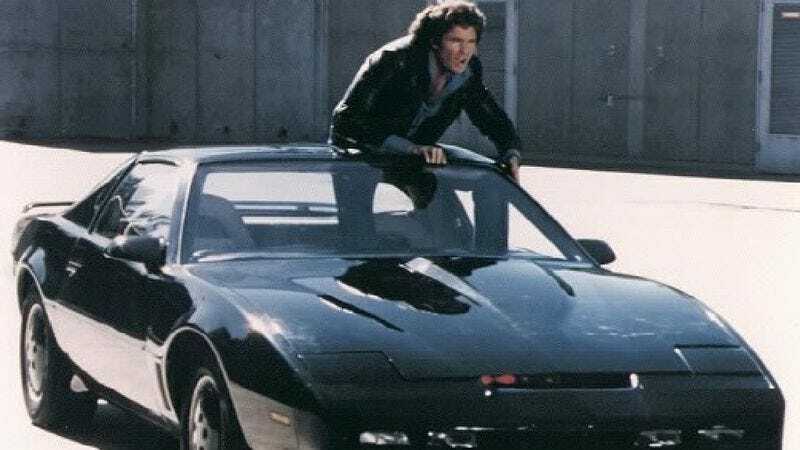 For now, the L.A. Times reports that the Knight Rider movie is being conceived “as a somewhat higher-budget, more action-oriented movie than Weinstein's typical prestige fare,” meaning KITT likely won’t be replaced with a technologically enhanced Kate Winslet. As the article points out, however, it would seemingly have to receive some sort of upgrade, given that Knight Rider existed in an era before cars could respond to voice commands and read you Facebook updates, even if they did so without the urbane wit of William Daniels. With that also in mind—and with Hasselhoff insisting, as with the failed 2008 TV series, that he must be a part of any new Knight Rider project—all signs point to finding laughs in a guy desperately clinging to woefully outdated advancements, as well as this Knight Rider movie maybe being a comedy.